Have you checked out the new SAB releases? The Springtime Foil dsp is AMAZING. I'll have some samples to share with you next week using that dsp. But I am also smitten with the Blossoming Basket bundle - in particular the Basket Weave Dynamic Folder. The detail this folder leaves is lovely. Earlier this week I shared a pop up gift card holder created using one of our mini pizza boxes. I had so much fun making that one that I wanted to create another with a completely different look. I had the basket image colored and sitting on my desk from a previous project and decided to use it. I love how it turned out. 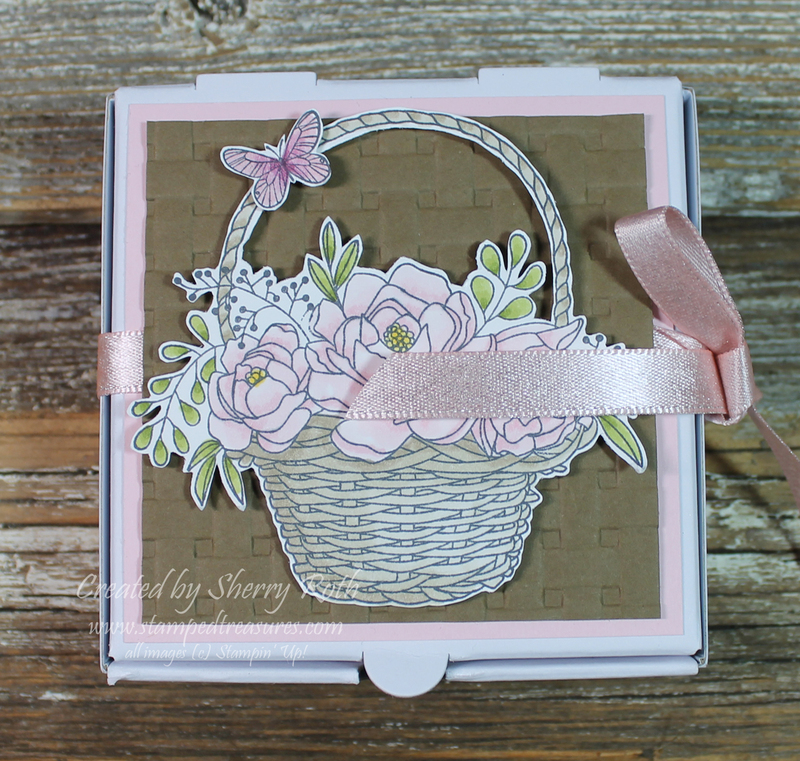 I used the Basket Weave embossing folder to add some gorgeous texture to the soft suede cardstock and then colored the basket and flowers using, of course, my Stampin' Blends. Here's a closer look. It looks so soft and elegant in person. 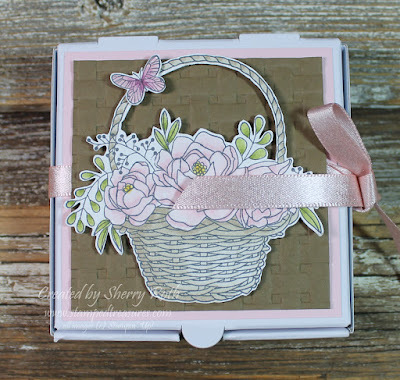 The Blossoming Basket bundle is one of our level 2 Sale-a-Bration products. You can earn it for free with your $120 purchase (before shipping and tax). Be sure to come back tomorrow for a bonus blog post using this same bundle - think Easter. Shop my Canadian Online store. 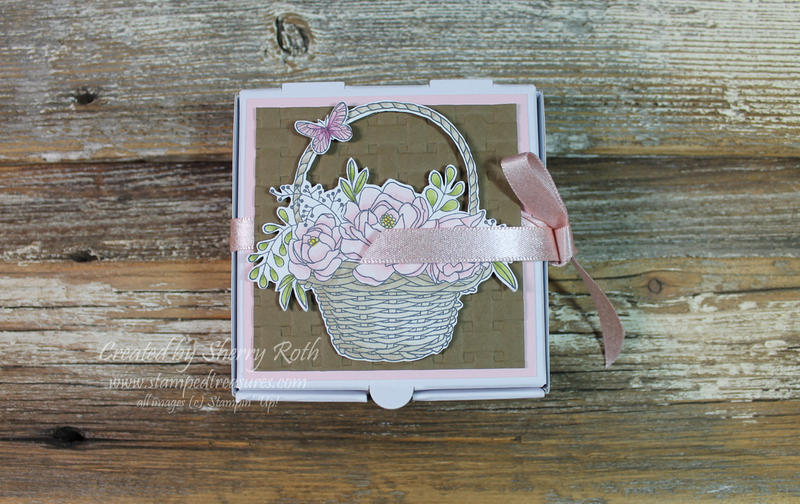 Create 6 ADORABLE cards (2 each of 3 designs) using the Hedgehugs stamp set. Find all the details here.